Want to join my Pinterest group boards and Tailwind Tribes? Fill out the form below to subscribe & request to join. If your posts inspire then this group is for you! For pins on mindset, mindfulness, motivation, inspiration, better living tips, self-love/care, millennial lifestyle, personal development + quotes. No recipes or product pins in this group. Do you create awesome content for bloggers and business owners? This group is for you. Share all your business, marketing, social media, sales, email marketing, course and content creation related posts. Share your beautiful lifestyle pins! All lifestyle bloggers are welcome from fashion, beauty, decor, to food and parenting. This one’s all about adulting, from finances, personal and professional development, education, career advice and more. If you write the millennial experience, this group is for you. QUOTES ONLY! For sharing all your beautifully designed inspirational and motivational quotes. A brand new board that’s ONLY for things planner, printables and bullet journaling. – High-quality, VERTICAL PINS ONLY. – Pin for pin, share a pin for every pin you add. – Related pins only, read the board rules and do not add off topic pins. – 3 PINS at a time MAXIMUM, use a scheduler to spread out your pins. – Do NOT repin the same pin, to the same board for 30 days. ZERO-TOLERANCE FOR RULE BREAKERS, YOU WILL BE BLOCKED. Read the above rules and ready to join me on Pinterest? Great, fill out the form below to subscribe + request to join. For me to add you to my group boards you need to be following me. Click the link below. 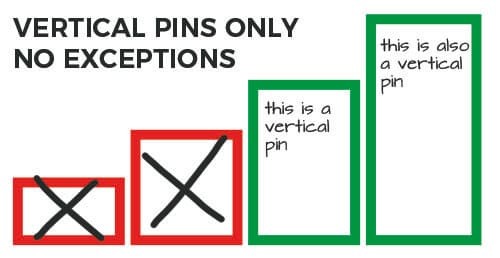 VERTICAL PINS only (longer pins). No spamming, share a pin for every pin. Please ensure you've read the rules above. That means high-quality pins only, not repinning the same pin for 30 days, and only adding 3 pins at a time. Not your Pinterest profile link, but your website. You will be invited to the Pinterest group and the Tailwind Tribe via your email address. Only request to join relevant boards to your niche. Once added, be sure to read the rules in the board description at the top of the group board before you start pinning. Membership in Pinterest groups and tribes is for VIP Subscribers only. You'll receive tips on Pinterest, blogging, as well as invites to collaborate. PLEASE, ONLY SUBMIT ONE REQUEST.